Food Cart/Truck Insurance Quote, , San Francisco, Stockton, Great Rates! 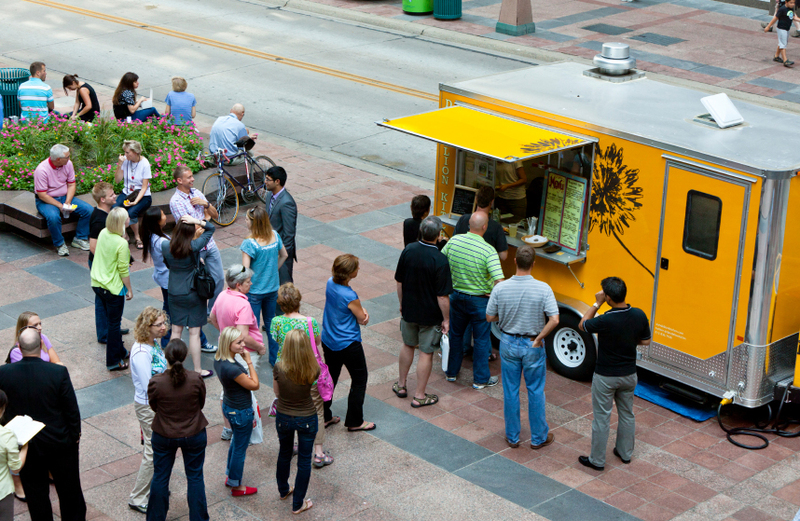 As a food truck owner, you are at the forefront of a booming industry. Your mobile restaurant has many unique exposures that must be addressed to ensure the success of your business. Your foot truck business is at risk from many different types of exposures including damage to the truck itself, lawsuits arising out of the sale of your food, and the added risk of driving your food truck to and from events, venues, and your prep kitchen. Also, you are probably already aware that towns, cities, farmers markets and other venues will require you to show proof of food truck insurance just to be able to set up shop! In fact, most venues, especially government organizations like towns and cities, will require that you carry at least $1,000,000 in General Liability Insurance coverage. Whether you need refrigerated truck insurance, food cart insurance or commercial van insurance, we can help you get the proper food service vehicle insurance for your business. We are a specialist in commercial auto insurance and we offer customized insurance options for food trucks. Whether you're new to the food truck business or you've spent many years on the streets, we have insurance solutions for you. Because you depend on your vehicle every day, it's important to protect it with the proper food service vehicle insurance. Depending on your type of food truck business, you might need different types of food truck insurance. When you call to get a food truck insurance quote, one of our licensed insurance professionals will help you determine which coverages you need while you're on the road. Customized Discounts – Depending on your business type, you may qualify for discounts for being an experienced business owner, or for having a General Liability or Business Owner's Policy. Flexible Payment Options – Whether you pay online, by phone, or by mail, we offer multiple payment options. You can choose to pay monthly or pay your policy in full. Superior Claims Service – Our claims service is designed to help you get back on the road fast. It includes 24/7 claims reporting, Concierge Service Centers, and an in-house staff of experts specially trained to handle your commercial claim. To learn more about how our Food Truck/Cart Insurance coverages can protect you and to see how much you could save with our money saving discounts, please contact us today! Let Berbower Insurance Agency help you choose a policy that will fit your individual needs. Protecting your assets, whether personal, business, or both, is our goal. A well-chosen policy can lessen the impact of some of life’s most common, yet unforeseen perils. We’re here to help when you are considering Auto insurance.